Nairobi March 27, 2017 PANNAR SEED, a DuPont seed business in Africa, has appointed leading agro input dealer, Elgon Kenya Limited, as its distributor in Kenya. Through this strategic partnership, Elgon which has worked for many years with farmers in Kenya has started distributing selected PANNAR maize seed varieties in readiness for the March 2017 planting season. 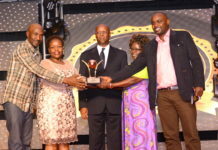 “The partnership with Elgon is an extension of a long standing relationship with DuPont and aligns with our strategy to collaborate to address the challenges which impact the productivity of smallholder farmers in Kenya,” said Humphrey Kiruaye, Commercial Leader for DuPont’s seed business in Kenya “Elgon’s strong presence and breadth within the market will augment our footprint and address these challenges by giving maize farmers access to high quality seed”. 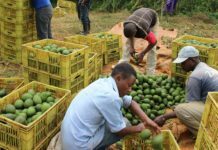 Elgon Kenya Limited is the largest agri-input supplier and has a vast supply chain network across Kenya. 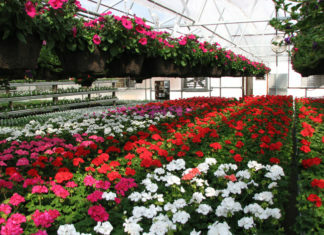 The company offers farmers a one-stop-shop for agrochemicals, seeds and fertilizer. Elgon Kenya Ltd Managing Director Bimal Kantaria called on farmers to embrace certified Pioneer hybrid seeds since this is the first step towards better yields and success in farming. “We have to adapt to changing conditions and ensure that our farmers have easier and timely access to quality, high yielding certified seed varieties. We are glad our partnership with PANNAR is steering this resolve forward,” Mr. Kantaria said. Maize is a staple and the leading food security crop in Kenya, a significant contributor to Kenya’s economic and social development, providing jobs, income to thousands of farmers in the food basket regions. The country currently has a national average maize yield of about 2metric tons per hectare, which is below 10 tons per hectare in the US. By adopting hybrid seed and using improved farming inputs and techniques farmers are expected to significantly increase productivity two-fold or more, said Mr Kantaria. Elgon Kenya has a firm grip in key agricultural sectors like cereals, seeds, irrigation, tea and coffee which attract the bulk of food producers in Kenya. 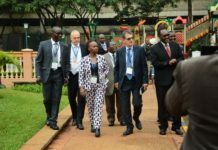 The company has rolled out key interventions and low cost innovations targeting smallholder farmers key among them miniature irrigation kits, low cost greenhouse sheeting materials, smaller fertilizer packaging units, a farmers clinic program and an annual farmers reward scheme now in its fifth edition. Pannar Seed, a dynamic South African seed group has extensive research and development at its core. It is one of the largest field crop seed breeders, producer and supplier in Africa and is a respected member of the international seed industry. 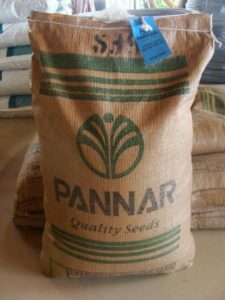 PANNAR has been in the African seed business since its inception in Greytown, South Africa in 1958. It has its own seed businesses in nine countries in Africa, including South Africa, and sells through established marketing networks into many other countries on the continent. It has its own research and commercial operations in Argentina and research and genetics licensing businesses servicing the United States and Europe. double cobs with medium flint grains.